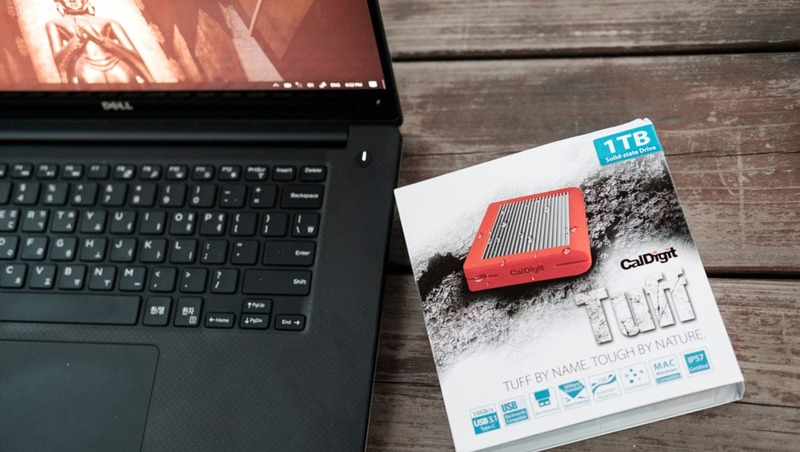 CalDigit has recently released the CalDigit TUFF 1 TB SSD, an SSD version of their excellent TUFF 2TB external hard drive. In a world where our data is ceaselessly getting larger and is in need of transport from one place to the next, fast and reliable external storage has become a necessity for many working professionals. 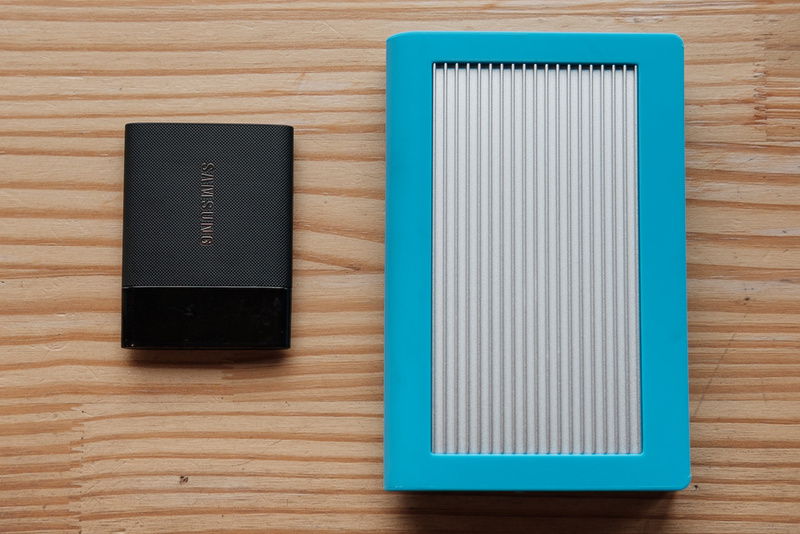 CalDigit addressed this well with their excellent 2 TB TUFF external hard drive. Now they have followed up with a potentially TUFFer (see what I did there?) drive. Although the TUFF was a fantastic drive, with USB 3.1 Type C support, a fast 7200 RPM drive, and military drop test certification, it was still a spinning drive. There is still quite a bit of potential for physical damage, especially if the drive is spinning. The new SSD version has no moving parts, and comes with the speed benefits that SSDs offer, making it possibly an even better option for pros who need to move a lot of data around safely. A couple of months back, I had the opportunity to check out and review their first offering in the series, and now am able to stress test the new SSD version. CalDigit is looking squarely into the future with this series of drives. They are shock proof and weather resistant (IP57) for on-the-go professional use, and at the top of their game in terms of speed and connectivity. The drives are compatible with the latest USB-C ports, including the USB 3.1 and Thunderbolt 3 specifications. 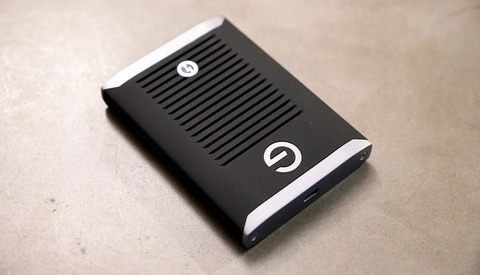 Both drives use their case as a passive heat-sink and surround it with a shock absorbing silicone case. They are rugged and fast, making them perfect for working professionals. As we saw in my review of the 2TB spinning drive, the TUFF series performs quite well. The spinning drive was able to outperform a couple of other spinning external drives that I have, but still fell behind SSD speed, of course. With the new SSD version of the drive, CalDigit is advertising 540 MB/s transfer rates, so I wanted to see if I could get the drive to perform that well. Again, rather than doing a stress test, I performed a real world test using my own files to mimic what I do on a day-to-day basis. I performed two tests, one with large files (multiple gigabyte video files totaling 18.1 GB), and one with small files (20-30 MB raw files totaling 65.6 GB). 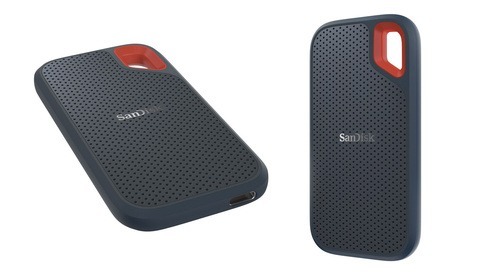 Again, I have compared the drive to my ultra-small-and-light Samsung T1. As we can see, the TUFF outperforms the Samsung T1 in all tests, especially when connected via a USB-C port. The one thing that I did notice during the transfers was that the Samsung was much steadier in its transfer rates. The TUFF tended to copy in fast bursts separated by short periods of much slower transfer. This was especially noticeable when copying from the drive to the computer. If the drive were able to maintain the high speeds rather than dipping back and forth, it could provide much faster overall transfer rates. Being a SSD, this drive takes less power to run than the HDD version. Although both are bus powered, meaning that any device that adheres to USB power standards will be able to run both drives without external power, I was unable to run the HDD version on my RAVPower FileHub (which I use when traveling). 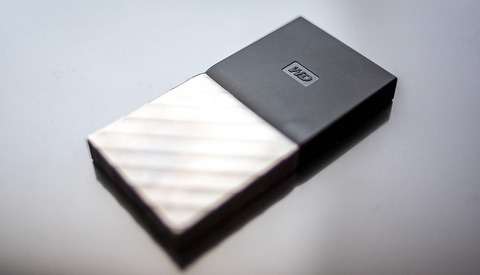 The SSD, however, performed well and I was able to copy files back and forth on the go. One other thing that I noticed was that the drive gets significantly warmer to the touch than other external SSDs that I have used. This could be because of the heat-sink case that it is enclosed in. However, this really only happens during prolonged transfers, and it cools very quickly (in a matter of seconds) once the transfer is done. CalDigit have kept the same form-factor as their spinning drive for this unit, making is quite a bit larger and heavier than other SSDs on the market now. If you're looking for compact and light, this is not your drive. It is as large as the 2 TB HDD version. 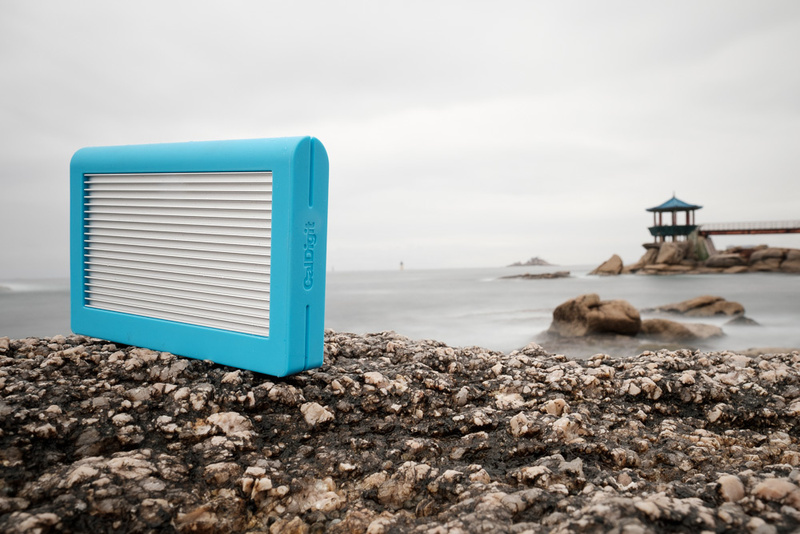 However, for rugged, you'll certainly want to consider it. Although I can just toss my Samsung T1 in my bag, if there's a lot of gear in there, I want to make sure it doesn't get squashed by anything. It's little plastic shell doesn't feel like it will take too much punishment. The TUFF, on the other hand, I would be comfortable tossing in the back of the car on a road-trip. As with the HDD version, it is built like a tank. One small thing I did notice was that the drive took a long time to be recognized by the computer I was plugging it into. I tried with two PCs and a Mac, all took around 10 seconds to recognize that the drive was connected. This is another great drive from CalDigit. Again, it is a no-frills drive made to a high standard for working professionals. Although SSDs are considerably more expensive than spinning HDDs, if you need that extra speed and peace-of-mind, this is the drive to go for. Grab yours directly from CalDigit here. I get almost double the transfer speeds with an internal SSD and a rugged enclosure... 500MB/s for under $300. I've even dissected some old LaCie rugged drives and popped SSDs in those. I love my 1TB Samsung T1. It is so small it goes with my everywhere every day. No way I would trade it for that huge CalDigit brick. My T1 does work off of a hub/card reader—which is critical since my Surface Pro has only one USB 3.0 port. Portable? Doesn't look the least bit portable.